The publisher recently sent me this book. I LOVE it. I've been pouring over it for days. It's a slick hardback loaded with old photos and recipes. What a blast from the past! A lot of nostalgia and history of these clubs. FUN! Relish in the reverie and revelry of yesteryear with recipes from twenty-five of history's most iconic entertainment hotspots. Chef and restaurateur Daniel Boulud once explained: “The future of cooking is about how we can rewrite the history of it—it’s important to keep the memory and be entertained by it and inspired by it.” What A Swell Party It Was! 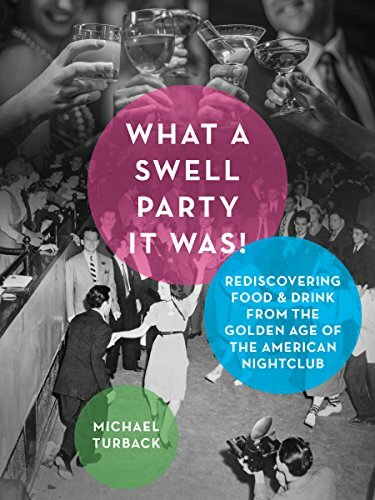 entertains and inspires with a delicious slice of nearly forgotten culinary history—an era that followed the Great Depression and prohibition’s repeal, where America boomed and the nightclub scene flourished. Opening this book is like swinging open the doors to another time and place when big city life was a unique mixture of innocence and sophistication, romance, and formality. It spotlights twenty-five legendary clubs that thrived in the 1930s and ’40s, just as Jazz exploded into mainstream popularity and alcohol was no longer illegal to serve. Through these pages and recipes, enter past the proverbial velvet rope into establishments forever-immortalized, such as Chez Paree in Chicago, Café Trocadero in Hollywood, The Cocoanut Grove in Los Angeles, The Blue Room in New Orleans, and New York City’s Cotton Club. In addition to including entrée, appetizer, dessert, and cocktail recipes from their original menus, each featured venue will be introduced with vivid anecdotes and history, narrated in a breezy style and illustrated with reproductions of vintage menu covers, beverage napkins, matchbooks, postcards, and rare photos. An unabashedly joyful journey and a deeply authentic perspective on American culture in a rich, tumultuous age, What a Swell Party It Was! promises a cookbook/cocktail guide with a tip of the hat to history, crammed with details that bring life again to a fascinating American era. 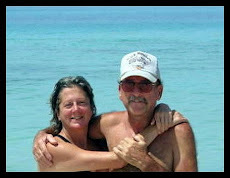 A FUN, FUN Super Bowl!